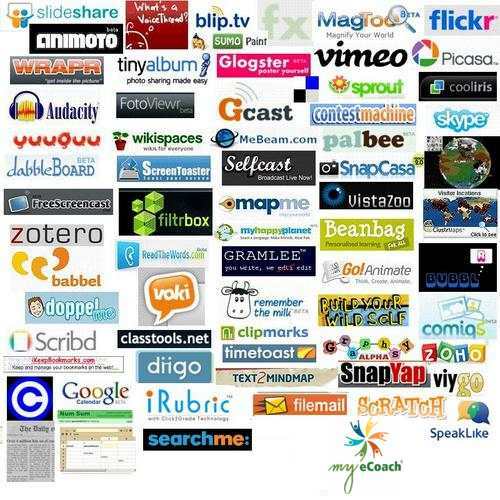 Use, embed, or share these Web 2.0 tools in your blog, wiki, website, lesson, or project. We created this site about Web 2.0 tools because we were finding and using many of them ourselves. We wanted a way of organizing them for you and offer a place where others can share any Web 2.0 tools they find. Keep on coming back because we keep adding more tools each week. We are not experts and please don’t expect us to train you on any of these. We added some NETS standards below for teachers and students that we believe could be met if certain tools are used for projects. On some of these we added tips for My eCoach members. If you want to see them, you can join for free at https://my-ecoach.com. We hope you enjoy this collection and welcome your comments below. 1b. engage students in exploring real-world issues and solving authentic problems using digital tools and resources. 1c. promote student reflection using collaborative tools to reveal and clarify students\' conceptual understanding and thinking, planning, and creative processes. 1d. model collaborative knowledge construction by engaging in learning with students, colleagues, and others in face-to-face and virtual environments.